Fabulous renovations in Sherwood Oaks home! 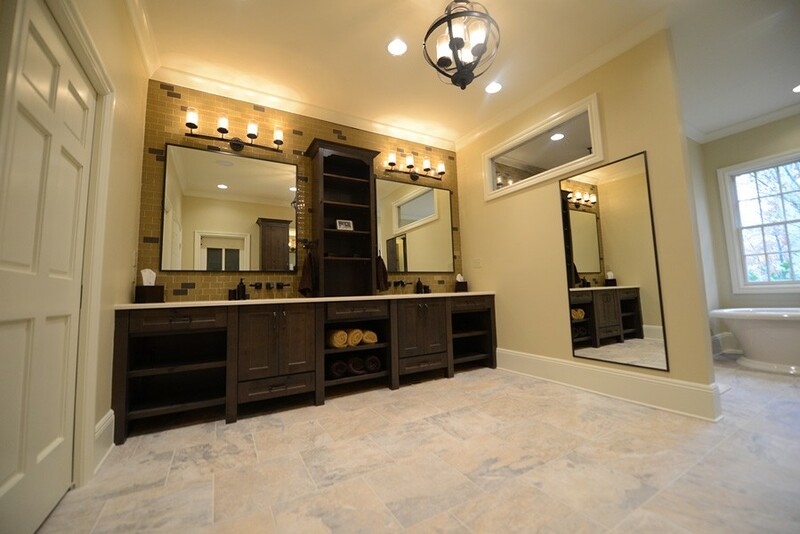 Our fabulous Sherwood Oaks renovation project is just about done and we have photos of the stunning results! See why we have been named Knoxville’s Best Renovation Contractor by Cityview Magazine. This renovation was multi-level with 3 different areas of the house being renovated, each on a different level of the house. We’ll show you some photos here in our blog. For a more extensive look at the before and after shots, go to our Facebook page. Let’s start on the main level. The homeowners wanted to have a larger, more modern spa bathroom. We began by taking the original bathroom which had master closet included in the space and completely gutted it to the studs. Next, we took out the center wall that divided bath and master closet. This created one giant bathroom complete with his/her vanities, a make-up/changing station, a separate water closet, an air bath freestanding tub, a huge walk-in shower with body sprays and rain head. We even included separate laundry room. Finally, we converted the original office into the master closet. On the lower level, we did a complete man-cave makeover. First, we gutted the small kitchen. Next, we converted it to an amazing custom bar with kegs, wine cooler, microwave/warming drawer, mini fridge. 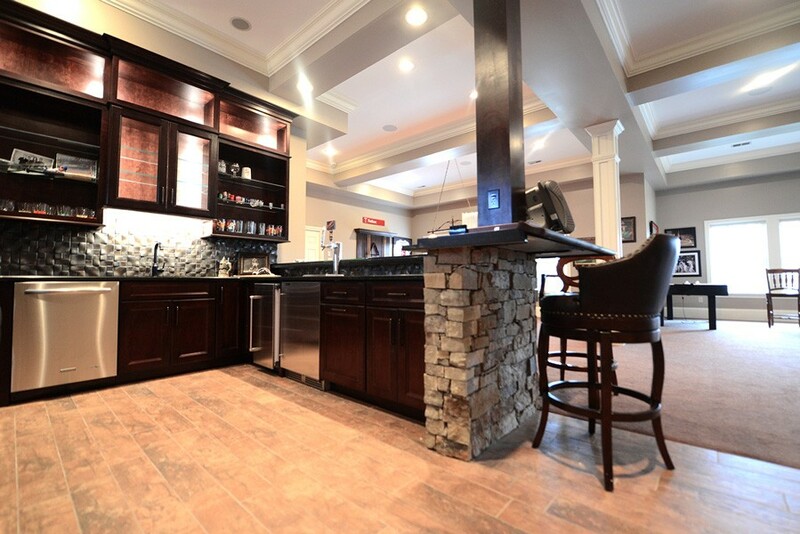 Stone accents and quartz tops completed the rustic look. 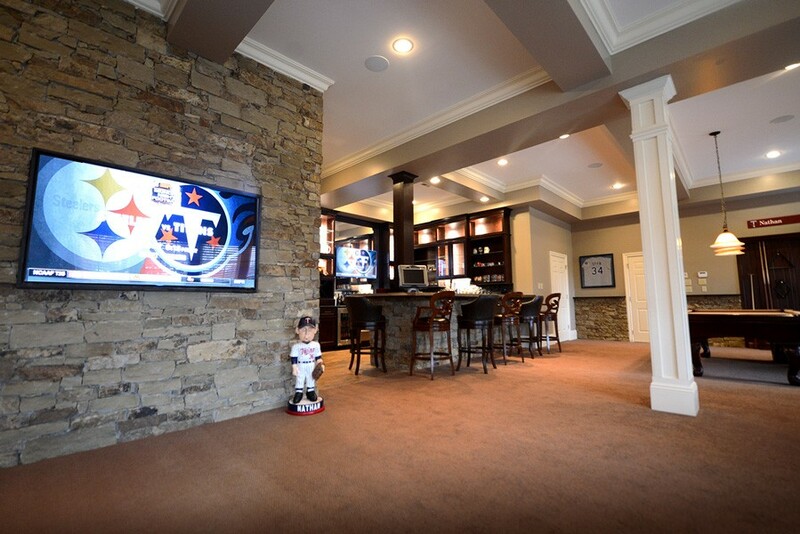 In the main part of the room, we designed a special poker area with an entertainment center built right into the stone wall. The two bathrooms on this level were remodeled and in one we installed a beautiful copper sink. Finally, upstairs we painted each room and in the kids’ rooms, our master craftsman carpenter built hand-crafted bunk beds. To top it all off, we installed a brand new technology package throughout house which synced each new technology component to the homeowners’ iPads. This phenomenal feature included a new sound system and tvs, in addition to completely new wiring of the security system. See something you like? We specialize in renovations, both commercial and residential and we’d love to help you make your renovation dreams come true. Contact us here to see how we can help.